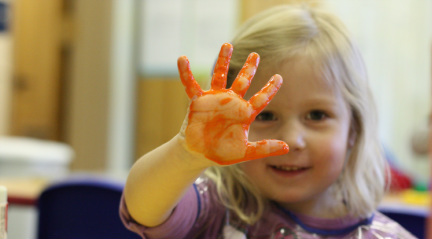 Sunrise Preschool is one of the original cooperative preschools in Bend, Oregon. Our special community of parents and educators are committed to teaching and inspiring families through monthly volunteer parent involvement and mutual support. Our practices are founded in the idea that the best education will result from an active partnership among parents, teachers and children. 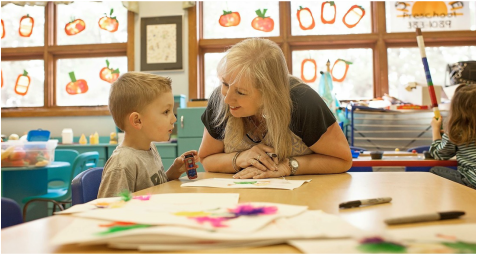 Routine and planned activities are emphasized within a nurturing and caring environment. A balance between freedom and guidance, group and individual activity, active and inactive experience is the goal of the teachers for the daily schedule. Each class has an early childhood education teacher, a full-time teachers aide, and a participating parent which rotates through a schedule. A music teacher visits the classes weekly or biweekly to augment the regular music education that occurs each day.